L-R: Patricia Kane, HBCF Director, with Tim Ellis, T.W. Ellis President, and members of the T.W. Ellis team: Novie Siegars, Sam Ellis, and David Chick. T.W. 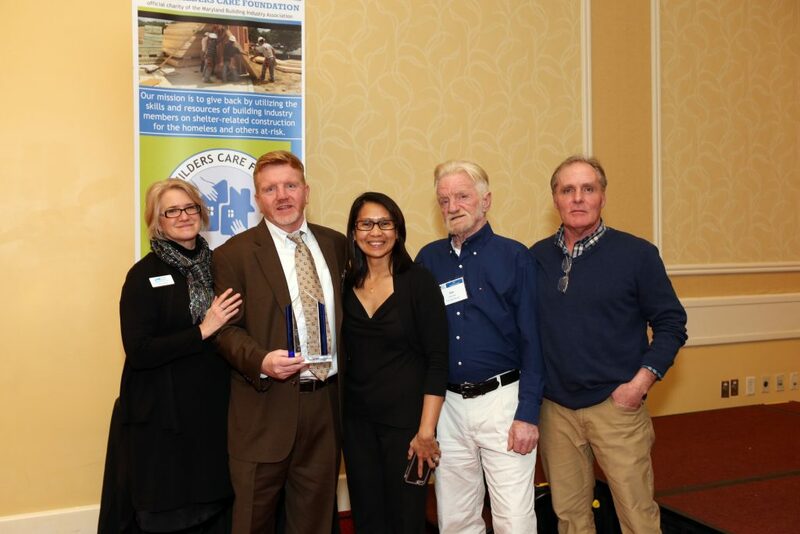 Ellis was honored to receive the Community Builder Award from the Home Builders Care Foundation (HBCF) on February 9th, 2017. HBCF is the non-profit charity of the Maryland Building Industry Association. This award is presented in recognition of a builder member who helps raise awareness of the industry’s spirit of giving. T.W. Ellis served as the builder captain for The Arc Baltimore and HBCF’s collaborative kitchen renovation project in 2016. The project was the launch of a new partnership between HBCF and The Arc Baltimore to renovate a handful of group homes owned by The Arc. By taking on the two-room kitchen renovation, HBCF and T.W. Ellis saved The Arc Baltimore $40,000 in construction costs off the top, with long term savings on the home’s operating costs expected down the road. But most importantly, the work done by T.W. 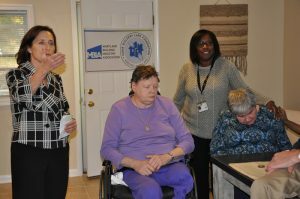 Ellis will have a profound impact on the disabled residents of the home, particularly one resident who uses a wheelchair and is now able to cook a meal, get a glass of water, and even do her laundry with the accessibility aspects of the kitchen complete. In a video interview, this same resident thanks all members of the T.W. Ellis team who made this renovation possible. HBCF Community Service Awards are presented annually to individuals or organizations affiliated with the local home building industry in recognition of significant contributions to the community through unselfish efforts and dedication in support of projects that help the poor and disadvantaged in our communities.